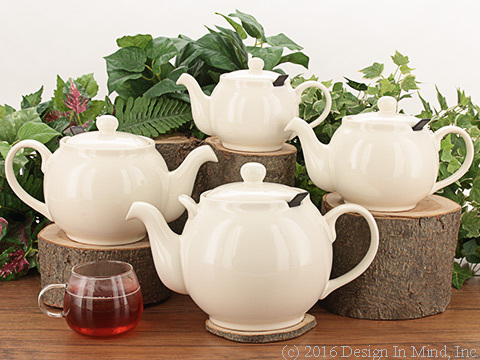 Chatsford teapots are well known for the large, deep, built-in infuser. Our favorite teapot! Designed and patented by The London Teapot Company, the large nylon mesh infuser is excellent for preparing loose leaf teas. This London based company currently manufactures in Thailand. 2 cup teapot serves up 16 oz of fresh brewed loose leaf tea. This size takes a Personal Size Tea Quilt tea cozy. 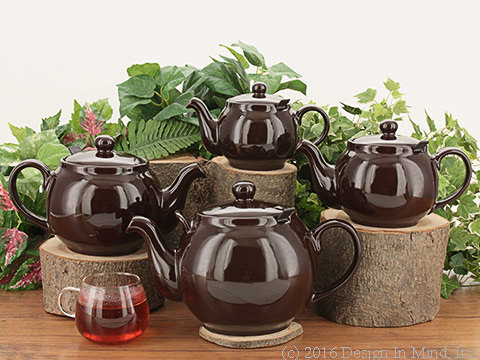 4 cup teapot serves up 24 oz of fresh brewed loose leaf tea. This size takes a Medium Size Tea Quilt tea cozy. 6 cup teapot serves up 40 oz of fresh brewed loose leaf tea. This size takes a Large Size Tea Quilt tea cozy. 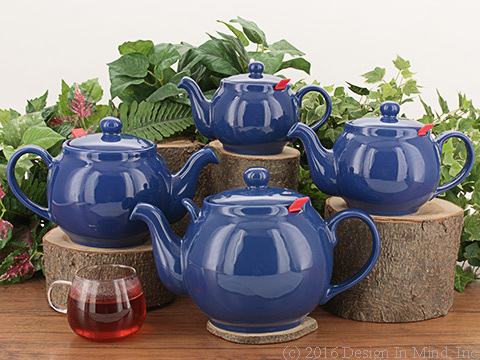 10 cup, family size teapot serves up 60 oz of fresh brewed loose leaf tea. This teapot requires a custom cut tea cozy. See Tea Cozies >> Custom Tea Cozies for more information. Tea cozies are not included in the teapot price. 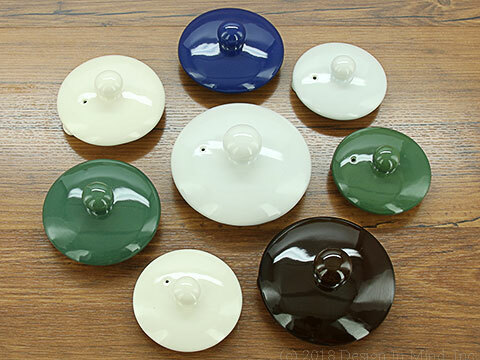 These replacement lids fit Chatsford teapots made after the year 2000. Available colors vary by size. 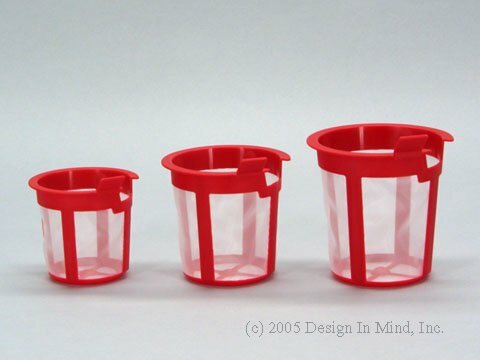 Spare lids are only available when a teapot is broken in shipment or rejected for quality issues, so these lids may have minor imperfections as well.